The amount of good TV which has aired in 2015 has become a hot topic item as we get to the point where there are too many shows to keep up with. Fall television is quick approaching so now is prime catch up time and this week I decided to go against my better viewing style judgement skipping Halt and Catch Fire’s first season and diving straight into the second. I did watch the pilot back when it aired, but if I recall correctly I didn’t like it enough to keep watching even though the Girls in Hoodies podcast – miss you guys – always made me want to check back in. So now I have and if I was to start my own Mutiny community room it would be dedicated to all things Donna and Cameron with a costume focused annex. 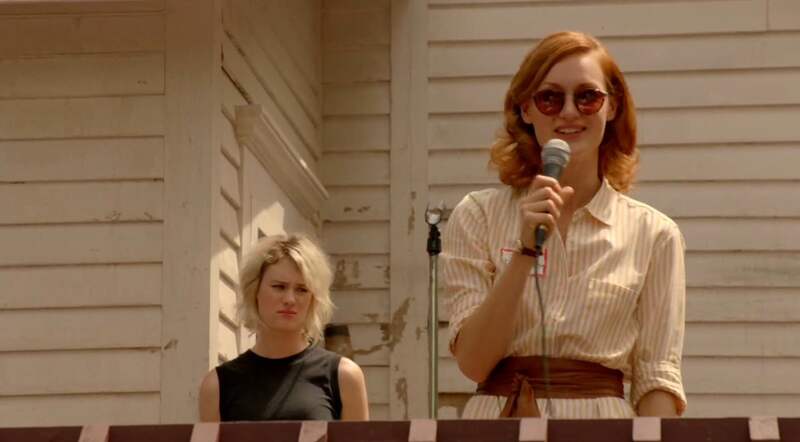 As Halt and Catch Fire is set in the mid-80s the ideal places to find era appropriate garments are from vintage and thrift stores shopping. 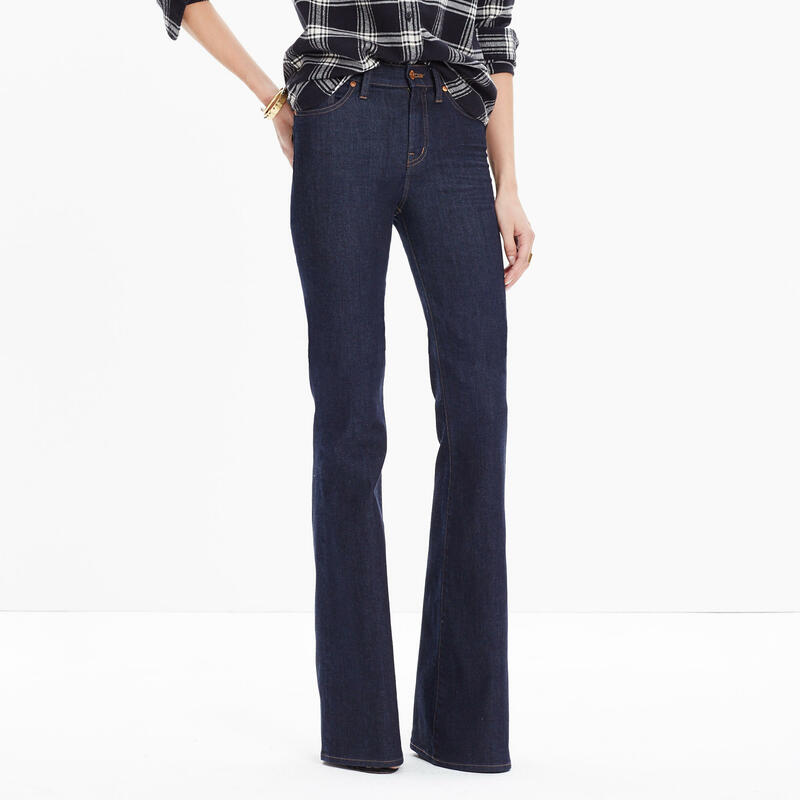 With Donna her Mutiny work style gravitates towards classic staples such as striped t-shirts, high waisted jeans, plaid shirts and college hoodies. It is the kind of wardrobe which easily doubles for off duty leisure time and she has plenty of business suits for those all important meetings. The headband is also a vital part of her look and this is practical touch while serving up a girly approachable appearance. 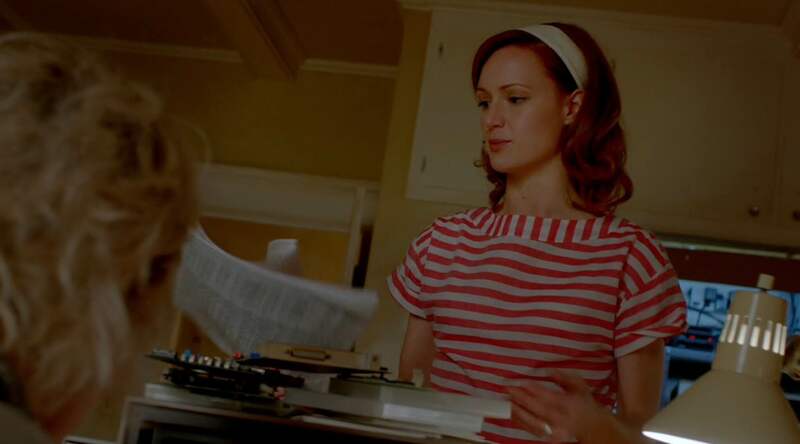 And it also means I can see a whole lot of Leighton Meester in Kerry Bishé. 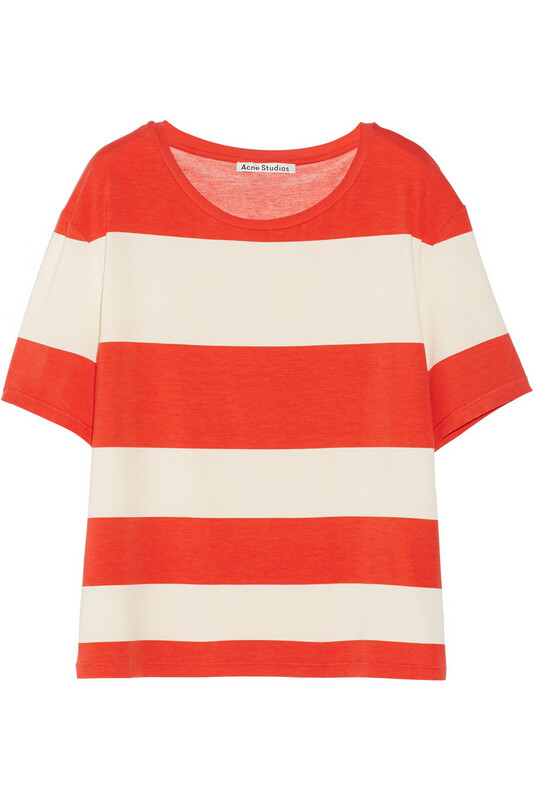 Red and white stripe tees are available (in long and short sleeve) in pretty much every store including super affordable, mid point and splurge. Where the internet did fail me was finding a rainbow stripe t-shirt like this one and early to mid-80s fashion really excels at splashing multi-color stripes on an array of kids and adult clothing. This might be a search better suited for vintage stores. Donna’s other wardrobe staple is plaid shirts. It might be sticky and hot at the moment, but the ideal time for this is item is fast approaching and I am so looking forward to the change in season. As with stripe tops, plaid shirts can be found in all price points and in a vast array of colors with Uniqlo being one of my go to brands. Donna has done full fancy pants dress up mode in season 2 and looked stunning to boot; however it is her Mutiny party outfit which I am more interested in and it keeps in line with Donna’s overall casual wear look combining stripes with a shirt dress. I love shirt dresses because they are easy to dress up or down and because they work in stripes, checks, polka dots and pretty much every pattern. 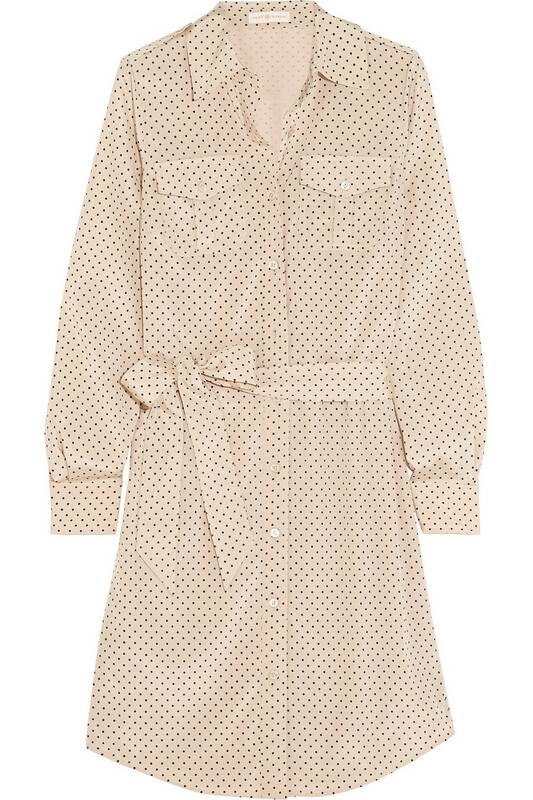 This Tory Burch polka dot delight has caught my eye (okay I have previously featured the shirt version) and you could definitely change up the belt to something more Donna-esque. As with The Americans, Halt and Catch Fire’s costume designer Kimberly Adams hasn’t going all in on lurid 80s stereotypes. Yes Joe is all about the Miami Vice sleeve pushed up stylings and so many white jackets, but Joe is very different kind of character to Donna. He is the kind of person who would jump on trends, whereas Donna’s everyday attire is going to be similar to the kinds of clothes she has worn for the last few years. 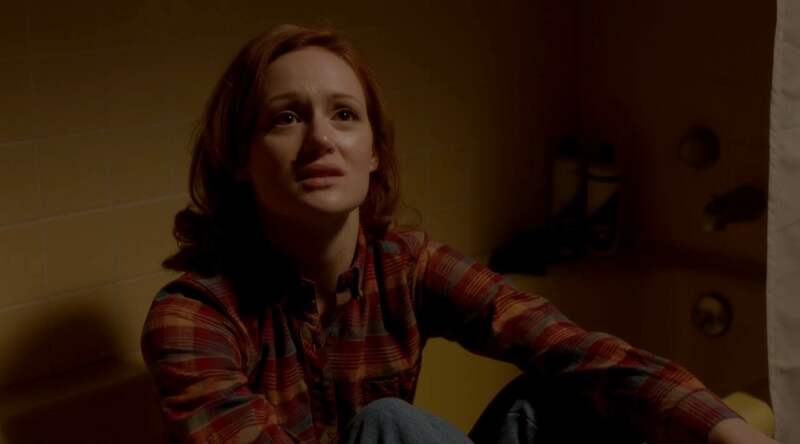 Hopefully AMC will renew Halt and Catch Fire for a third season for many reasons including seeing how the new Cali location will impact the costume design.